How Can I Remove Calcium Buildup in my Water Pipes? One thing is for sure, when you have calcium buildup on your water pipes, you do not want to ignore it. The problem only gets worse and more expensive to fix as time goes by. Also, if you live in an area of the country where hard water is just a fact of life, you will have to clean your water pipes often OR invest in a water softener system. The map to below (from h2odistributors.com) will help you identify the "water hardness" of the part of the country where you live. Here in Georgia, we are fortunate to have only slightly hard water. Believe it or not, hard water is a very common problem in many homes, as you can see from the map above.USA hard water map. Essentially, hard water has a high mineral content. Per Wikipedia, "Hard water is formed when water percolates through deposits of limestone and chalk which are largely made up of calcium and magnesium carbonates." In general, hard water is not a problem. Watering your lawn or rinsing your patio with hard water is no different than with soft water. The problem comes in bathing, washing dishes and clothing, washing your car, etc. That bathtub ring you have to scrub off every week is most likely from hard water. Those spots you see on your glasses and dishes, yep, that's most likely from hard water. Hard water can even be the cause of diaper rash, minor skin irritations and itchy skin. The best solution to dealing with hard water is installing a water softener system. Know that the water softener system will not only save your pipes but it will help to save everything in your houses that uses water. Your washing machine, your dishwasher and your toilets and maybe even your skin! According to NewsUSA - "Hard water costs the average American family well over $2,200 a year. And 85 percent of American households have hard water." Water softeners remove the hard minerals and replace them with soft minerals. So, calcium is removed and replaced with sodium. Each of the other hard minerals are also replaced with soft ones. This is called "Regeneration". Here is a checklist to help you find the best water softener system for you and your family. Timer Regenerated: you set these with a timer to regenerate once a week (for example). Meter Regenerated: once you enter in all the data, these softeners keep track of how much water has been used and regenerates automatically. Manually Regenerated: no timers or anything, these simply regenerate when you manually activate it. The cost of each type of water softener differs and of course, the one you choose will depend on what you can spend. They can range from $400.00 to $3000.00 so take some time to decide what you can afford and which type will work for you. Water Softeners are great for decreasing the amount of calcium building in your water pipes but what can you do to initially clean out your pipes? You can call us at Atlantis Plumbing here in Atlanta, Ga. Our number is 770-505-8570. We can take care of the problem for you and get your pipes working optimally again. But if your situation is mild, then there is a DIY solution that you can follow. 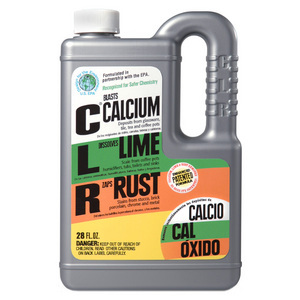 Purchase a product called CLR - follow the instructions and it may solve your problem. 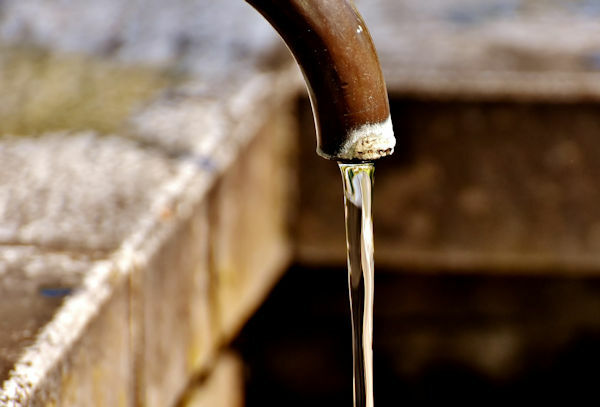 Again, if the damage to your pipes is more than this solution can fix, then call us today. Our professional plumbers will take care of the problem for you. For each sink/shower/bathtub drain that you want to treat - fill a large pot of water. So, if you have 2 sinks, a bathtub and a separate shower you will need 4 large pots of water. Turn on the taps in all areas of your home (including outdoor taps) to allow any remaining water in our pipes to drain out. Once all the water is drained out then turn off the taps. Put on eye Goggles and gloves when using CLR. Use a funnel and pour the solution (according to the instructions) down your drains. Bring each pot of water you saved to a boil. Once it's been at least 10 minutes since you poured the CLR down the drains, pour the boiling water quickly down the drain. This is to dissolve any grease or soap that is leftover in our pipes. Do this for each drain that you treated. Once you're finished - turn your water back on and then turn your breaker for your hot water heater back on. One by one, open each faucet all the way and let the water run for about 2 minutes. If you have any questions or problems concerning your water pipes, please contact us via email or phone at 770-505-8570.